Scientists are studying a small group of older adults with excellent memories called “supernormals” to determine their risk for Alzheimer’s. 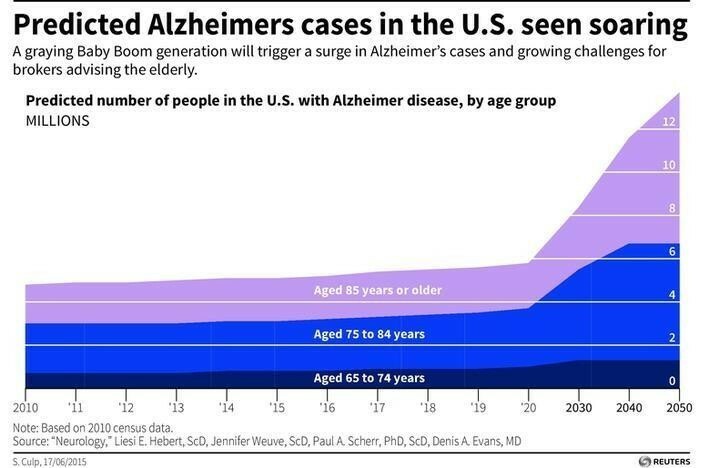 They compared them to older adults at high risk for developing Alzheimer’s disease, and a healthy control group. They specifically measured functional connectivity—the connection among spatially separated structures of the brain—between the cingulate cortex and other regions. Functional connectivity is measured by observing what parts of the brain are activated at the same time or in rapid succession in response to a stimulus. As part of the study, the team analyzed a national data set from the Alzheimer’s Disease Neuroimaging Initiative, which collects brain imaging scans and provides them to researchers across the country. The participants also underwent memory, executive function, language, and other tests to assess their cognitive abilities. Lin found that individuals who had stronger or more efficient functional connectivity between the cingulate cortex and certain regions of the brain had better memories compared to those who had weaker or less efficient relationships between the same areas. Supernormals also had lower levels of amyloids, groups of proteins that are associated with Alzheimer’s disease. But even when amyloids were present, the relationship between better functional connectivity and better memory still remained. These findings indicate that the way the cingulate cortex functions in supernormals may represent exceptional neural reserve—the ability of the mind to resist damage. Lin hopes to study this topic further with a larger sample size and connect her findings to other studies on the relationship between lipids in the blood and the development of Alzheimer’s disease.